All Camarillo homes currently listed for sale in Camarillo as of 04/22/2019 are shown below. You can change the search criteria at any time by pressing the 'Change Search' button below. If you have any questions or you would like more information about any Camarillo homes for sale or other Camarillo real estate, please contact us and one of our knowledgeable Camarillo REALTORS® would be pleased to assist you. "Welcome to 1860 Via AracenaElegant and palatial, this privately gated single story estate is prestigiously located in the Spanish Hills Country Club enclave. This newer built estate, where the architecture of this home is unprecedented with the most exquisite detailing from the pediments to the Italian columns, is truly a work of art. Constructed using the finest of materials and displays, showcasing unparalleled architecture and design. With every amenity taken into consideration, this estate exudes luxury, quality and splendor. Soaring ceilings, stunning entertainment vignettes, and an incredible outdoor entertainment area, showcasing a spectacular pool and spa, reminiscent of Hearst castle, with plunging water features displaying Venetian columns and sculptures. The very finest"
"Welcome to Crestview Avenue in Camarillo California! This one of a kind estate features 11,141 square feet of living space on 3.38 acres of privately gated manicured land with gorgeous views, elevator, pool, spa and a 9 car garage. Main house features 9,290 square feet. First floor includes a foyer, living room with fireplace, library, dining room with fireplace, kitchen with two walk in food pantries, one full and one powder bathroom and large laundry room. Second floor includes a master bedroom suite with fireplace w/views, large master bathroom, large walk in closet. Three additional bedrooms and two full and one half bathroom. Third floor is one large open space with high ceilings that could be a variety of uses including bonus room, movie theater or additional bedrooms. There is one full bath on this level. The entire home is wrapped in a covered veranda. Outside, there is an 898 sqft guest house that includes a full kitchen, living room, full bath and bedroom. There is also a 953 sqft dining pavilion w/retractable pocket doors, fireplace, full kitchen with pizza oven, indoor barbecue and a large balcony. Pool w/retractable cover, water features, spa, fire pit and covered patio. Long driveway accesses entire property, 9 car gar, RV Zoned for horses." "Overlooking the 18th hole of the Spanish Hills Golf Course, this 1 acre private, gated hilltop estate encompasses resort-style living within a country club community. Designed and built with the utmost attention to detail, no expense was spared in constructing this 8,500 sq. ft. estate and its magnificent grounds. The estate offers a massive entry with picturesque views of the property, an enormous office with a fireplace and direct access to the outdoors, an oversized gourmet kitchen located close to the formal dining room, and a large family room which flows into an entertainer s area that boasts a walkup bar and a wine connoisseur s climate controlled tasting room. The master suite consists of a large sitting area with a fireplace and access to a balcony that overlooks the pool, the putting green, the 18th hole of the golf course, and the surrounding mountains. The master bathroom radiates a spa atmosphere. The walk-in steam shower and bathtub are situated next to a fireplace and take advantage of the panoramic views surrounding the estate. The grounds produce a Zen atmosphere ideal for relaxing and enjoying the home. The beach entry, pebble tec pool has a swim up bar and rests close to the outdoor gourmet barbeque area. The fire pit and putting green take in the views of the golf course. This truly is a one of a kind estate." "Stunning Custom Spanish Hills Home, located in one of the most exclusive cul-de-sac streets and with 44,00 square feet of lot .This gem boast 8787 sq ft luxurious 5 bedrooms and 6 full baths., home has ocean views along with views of the Spanish Hills Country Club, golf course and lakes. Plenty of natural light throughout the home's open & airy layout. Gourmet kitchen with granite counter top sub-zero built-in refrigerator, butler's pantry and Viking stainless steel appliances. Enjoy the huge master suite retreat on the second floor with another wing that was converted into additional bedroom with living room and separate entrance for guest. Enjoy gatherings in the large family room with step down bar and built in entertainment center. Huge backyard with view of golf course and lake with built-in barbecue and so much more. 4 car garage with own golf car garage and long wide driveway for more cars." 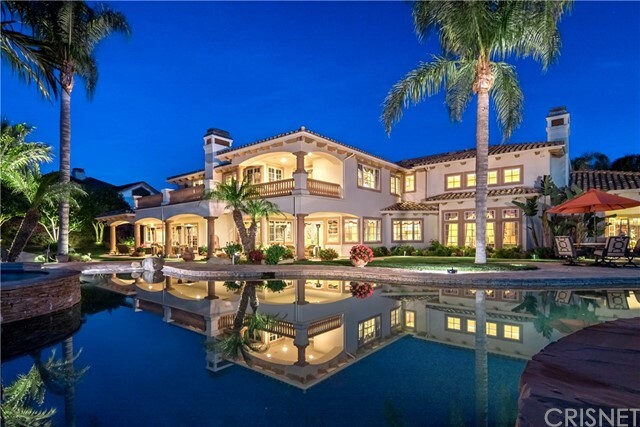 "This exclusive Spanish Hills Custom Estate offers both Comfort and Elegance. Privately gated at end of cul-de-sac. Exquisite attention to detail & quality abounds in this gorgeous home. Approx 6.874sqft on approx. 1.43 acre lot. 5 bedrooms, office/study & bonus rm, 6.5 bathrooms. All bedrooms have en suite bath & walk-in closets. Spacious formal living room with vaulted ceilings & fireplace. Gourmet kitchen with center island, sub-zero refrigerator,3 dishwashers and huge pantry.Warm & inviting family room with fireplace, built in entertainment ctr & large breakfast area. Spacious master suite features fireplace,dual vanity,his & her walk-in closets. Master Suite,one bedroom suite,office/study,powder room & one full bath are downstairs.Speakers throughout home and yard. Recent upgrades are: Wood floors on all bedrooms and upstairs hallway, custom chandeliers and epoxy on garage floor. Lush & meticulously cared for entertainer's back yard with covered patio,spa,BBQ,fire pit. 4 car garage & circular drive way offers ample parking for guests.Truly one of Spanish Hills finest!" "Creative Seller. This Las Posas Estate offering boasts nearly 7,000 sq ft nestled on a private and serene 4 acres-Featuring a pool, guest house, gym, elevator, large wine cellar and sports court. The Tuscan styled compound also includes a well-maintained hillside vineyard, producing award-winning wines in the properties own wine-making facility. Situated between Santa Barbara and Los Angeles, escape the city life with ocean and hillside views!" "Ultimate Multi-Family Compound with Massive Family Room Entertaining Room! Santa Rosa Valley Estate. This 10 Bedroom, 12 Bath estate is perfect for multi-generational living as well as lavish corporate entertaining. Gracious formal dining room, family room and formal living room.Spectacular craftsmanship and quality. Wood floors, crown moldings, leaded & beveled glass windows & imported iron & crystal chandeliers can be found on the main level. The granite center island kitchen has chefs kitchen with Viking Oven Range with commercial quality hood, , Wine chiller,huge granite island .FLEXIBLE FLOOR PLAN also includes 1 bedroom, & separate office on the main level. Upstairs, a spacious master suite w/ attached marble bath, huge walk-in closet, fireplace, sitting room & private balconyThe 2-bedroom GUEST APARTMENT within the main residence has a full kitchen w/Sub-Zero, fireplace, balcony & pvt. lndry. ENDLESS ENTERTAINING POSSIBILITIES in the almost 1,200 sq ft Great Room w/french doors opening to English Garden court yard. The highlight of the Great Room is the Professionally equipped bar which opens to the truly resort style pool/spa w/waterfalls. The Park like grounds also include a 1 BED,1 BATH POOL CABANA, gazebo, basketball sport court and fire pit. The most exquisite quality and detail for the most discerning Buyer." "Magnificent Ocean, Island and Mountain Views from every room of this beautifully remodeled & newly constructed 5,200 sq.ft home. The Stunning 2-story modern farmhouse estate, sits perfectly a top a 30,000 sq.ft. usable parcel in Los Posas estates. Beautiful & bright open concept floor-plan with 4 bedrooms 5 baths includes 2 Master Suites, 2 huge secondary en suite bedrooms, an office, & a Flex room set-up that could be converted to a granny suite, butler quarters, pool house, or recording studio. The kitchen has stunning 180-degree ocean view, amazing chef grade appliances, wine fridge, huge island & prep sink, & custom cabinetry. The dual master suite layout has 1 master downstairs & the second 1 upstairs. Upstairs master retreat has balcony and fireplace & bar Perfect for enjoying Camarillo's amazing weather, ocean views, sunsets, & city glow. The downstairs master bedroom is stately with its amazing views, grand bathroom, soaking tub, & custom closets. Views, views &more views! Move in ready, stylish, open, and spacious. Home is set up with Alexa smart home features and all of the modern touches throughout. Make this your dream home today!" "Top of the World Hideaway Above Camarillo! Reach out and touch the heavens in this 3,450 sq ft, 4br/4.5bth hilltop home. The 40 acre property enjoys commanding mountain and valley views of Camarillo, Santa Rosa Valley and Somis. The Pacific Ocean and Channel Islands glisten in the sunlight on a clear day. Inside, a large open kitchen has all the amenities a good cook can want. Two-story vaulted ceilings in the open living and dining rooms give the home an estate-like quality. Upstairs the private master retreat takes in nearly 360-degree views; soak in the master bath tub looking out over Santa Rosa. Two of three downstairs bedrooms enjoy their own private baths. The expansive property is horse zoned with many acres for animals to roam. There is also a second building pad which would allow for a 1,200 sq ft guest house, horse barn and/or arena. Just sit out on the veranda and watch Mother Nature work her magic every day!" "Own your own Camarillo Winery! Amazing Victorian built in 1992, gorgeous remodeled kitchen including authentic period touches- brick floors, 6 burner Elmira stove oven and range and built in sub zero fridge. There are 3/4 bedrooms, 3 baths and approximately 2500 sq ft. The formal living room and dining room with 12' ceilings blend together to provide an open living area.The master suite bath has a soaking tub with views of the vineyard. The property is nestled on almost 3 acres of grape vines with over 6000sq ft of living space. Property has permits to be used as a wedding venue and lucrative winery as well as being zoned for horses! Bella Victorian has its own working water well and is only 10 mins to the 101...The perfect family ranch!" "Mediterranean Masterpiece! 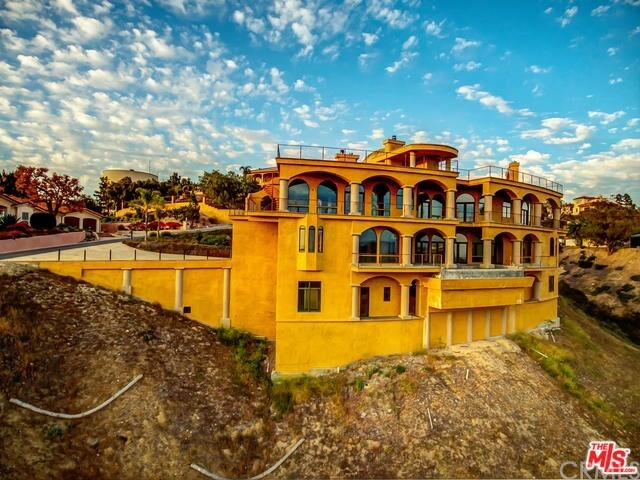 This one of a kind mansion is unlike any other and priced at an absolute steal! Save millions compared to similar homes of the same size, quality, grandeur & stature! Currently approximately 90% completed and ready for your finishing touches! The mansion is located in a prestigious gated community at the very top of the highest hill in Camarillo giving it the best views in the entire city! The best of both worlds with panoramic ocean & island views during the day and panoramic city lights views at night! Built for grand entertaining & luxurious living! The mansion includes 6 bedrooms, 6 1/2 baths, an almost 2,000 sq foot formal living room with large wet bar area, separate formal dining room, bedroom suites that open out directly to the huge pool & spa area,, sauna, gym, library, wine cellar, 2 kitchens, separate maids quarters, 4 story elevator shaft, solar panel area & 8 car garage! All on over an acre of land! Plus an additional almost 8,000 square feet of decks and balconies including an approximately 5,000 sq foot party deck located on the 4th story roof top! Incredible engineering was undertaken in order to build a house of this height, scale, grandeur and magnitude including steel frame construction and 48 caissons going deep into the hillside securing it firmly to the hill! Once in a lifetime opportunity to own this one of a kind mansion! Would cost millions more then the current asking price to reproduce! Won't last at this price!" "HUGE,PRICE Reduction..One of a kind, HORSE Property privately gated custom built home. Extravagant beautifully designed Mediterranean Estate nestled away on an 2+ acre lot.As you enter thru electronic security gate which leads you to your architectural elegant retreat with a decorative circular driveway. Grand foyer with marble flooring, vaulted ceilings and formal living room. Formal dining room with crown molding and indirect lighting with butler's area. Gourmet kitchen is highlighted with professional appliances, granite countertops and center island that opens to a family/breakfast room. Grand family room with wet bar, fireplace and spectacular views of your resort style backyard. Downstairs bedroom with full bath, a library with private balcony and wood coffered ceiling. As you walk up the stairway, you will be amazed at the gorgeous views. Upstairs offers 3 additional bedrooms and a impressive master retreat that boasts a huge jet tub, walk-in shower, his & hers sink, huge walk-in closet and a balcony with views of the sweeping lush backyard. Outdoor living offers a pool house complete with wet bar, full bath. Tennis court, pergola, pool & spa, bbq area makes it a delight for entertaining. Exceptional Family Home! FYI HORSE lovers 5 horses are allow"
"This Spanish Hills Regal Estate is walking distance to Prestigious Spanish Hills Country Club, Springvale Tennis Courts, & Dog Park and offers: a Stunning Waterfall Pool & Spa surrounded by Park-like Grounds of Expansive Lawns, Palm Trees, Meandering Garden Paths, a charming Frontier Playhouse, and spacious outdoor Entertaining Patios on over an Acre. Exquisite Foyer and Souring Wrought Iron Spiral Staircase lends stately elegance opens to Great Room & Formal Dining room, family room + game room or home office.The Master Retreat is amazing with gorgeous views, coffered ceilings, crystal chandeliers, terrazzo flooring, remote controlled fireplace, sitting room,office, large closet areas, Deluxe Master Bath has Footed Bathtub + a seamless glass-enclosed Rain Shower. Entire 5th bedroom converted to a walkin closet - easily converted back to bedroom if desired. Gourmet eat-in Kitchen w/ Granite Island & Counters with views & access to patios & exclusive park-like playground." "Mediterranean styled home located on one of Spanish Hills most desirable streets. Built in 1999 and featuring 5 bedrooms, 4.5 bathrooms, this 4,846 SF floorplan sits on just over an acre. The home has a formal living room, a breakfast room, and a family room with a fireplace. The master bedroom is spacious with its own fireplace, a sitting area, and dual closets. The master bathroom is grand with dual vanities, tile floors and a jetted tub. There is tile flooring in the living room, the entry and the family room. Crown moldings accentuate rooms elegance. The gourmet kitchen includes a center island, stainless-steel appliances, double ovens, granite countertops and a built-in refrigerator. The lush backyard provides ocean and mountain views and features a swimming pool with spa, a small pond, a gazebo, a covered patio, a BBQ area and stylish palm trees. All within walking distance to the Spanish Hills Country Club. Close to shopping, schools, restaurant and freeway access"
"Spectacular ''Isle in the Sky Ranch'' is a 40 Acre Hilltop Plateau Property with panoramic 270-degree views of the Santa Rosa Valley, Santa Monica Mountains and Pacific Ocean on a clear day. The ranch has two manufactured homes; approximately 1,500 sq ft 3br/2bth and 1,000 sq ft 2br/1bth. A 3,000+/- sq ft metal workshop with 14' roll up doors and bath is located adjacent to the main residence. Approximately 1,000 producing Haas avocado trees and 100 lemon trees are well managed by the owner. The property has two parcels of 30.47 and 9.55 acres, with potential to develop the smaller parcel. A private gated entrance at the end of Worth Way provides ultimate privacy!" "This Spanish Hills Estate boasts sweeping views of snow topped mountains, green valleys and California sunsets. Majestically situated on an acre parcel, your views are highlighted from most vantage points of the property. A grand entry with magical water fountain invites you into spectacular living spaces with volume ceilings, floor to ceiling windows and unique maple flooring. This easy flowing floorplan includes an open-concept gourmet kitchen equipped with top-of-the-line appliances, walk-in pantry, casual dining area and two working islands. A large family room, distinctive in character, is hi-lighted by a beautiful fireplace, built-in contemporary cabinetry and double french doors. Feel indulged with a grand master suite with viewing balconies and fireplace, master area also includes two walk-in closets, dual vanity areas and make-up vanity, walk-in shower and soaking tub. Three secondary bedrooms offer en suite bathrooms, in addition to office or teen space and upstairs laundry room. Find secluded outdoor living, as you step through french doors to find lush gardens, large sunny patios, Pebble Tec pool with spa and covered outdoor entertaining area. Everyone can visit with ample guest parking and three car garage." "PANORAMIC VIEWS- from mountains to groves to golf course- come be transported to your own GATED sanctuary in this Las Posas Estates villa! Majorly REMODELED throughout- both cosmetic and structural with MAIN living area and separate downstairs in-law's quarters/studio complete with own kitchenette, bathroom, and bedroom. Stunning kitchen with massive oversized island, LG appliances, quartzite countertops, and heating tray. Huge family room with picture windows and French doors and tall ceilings. Modernized paint colors and detailing & contemporary open plan kitchen/family room/dining room/bar area- perfect for extensive entertaining. Master suite with double private bathrooms- including bathtub with adjacent electric fireplace and grotto views. Widened front entry with new metal front door, new concrete driveway to street with drainage, new Anderson windows and doors, repositioned septic, and upgrades to roof and new outdoor staircase. New backyard landscaping with custom railroad tie paths, spa with lush private grotto that has stairs that connect to Master Suite. Huge view deck with built-in BBQ overlooks 7th green of Las Posas Country Club Golf Course. Multiple double fireplaces, LOTS of privacy, tons of parking + room for RV- this is an absolute GEM!" "HUGE PRICE REDUCTION! Views!! Welcome to the Top of the World in Camarillo CA! 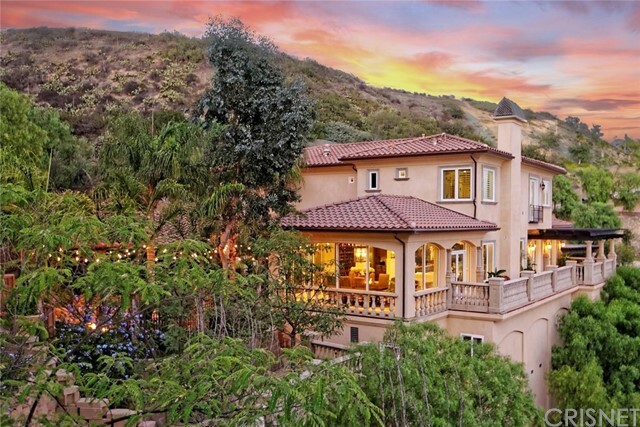 This rare Mediterranean inspired estate has been remodeled to perfection and features some of most majestic panoramic views in all of Ventura County. Nestled atop a private mountain that sits high above the city lights, this rare beauty offers an alluring lifestyle of warmth and opulence. Built in 2007, and spanning roughly 6500 sq.ft. (estimated) this incredible estate features an open floor plan that has been tastefully upgraded with a dash of modern living and a touch of refined elegance that you can find nowhere else on the market. Some of its interior features include: a gorgeous chef's kitchen, solid core hardwood doors, top of line travertine & hardwood flooring, custom light fixtures & hardware throughout, custom wainscoting & coffered ceilings, luxurious family room & dining room w/full length exterior viewing balcony, spacious master suite w/luxurious master bath, lower level cinema theatre, over-sized office/gym area, huge guest bedrooms w/private bathrooms & stunning views off every room. Its intimate and scenic exterior is truly an entertainers delight. With 6 viewing decks, a built-in BBQ, covered bar, outdoor fireplace & fire pit, this awe-inspiring property gives you a feeling of resort-style living all year long. Its long private driveway, RV access, & over-sized 3-car attached garage provides ample space for all of your vehicles & toys. This is what luxury living is all about!!!" "This incredible property is as close to a perfect 10 as it gets!! Nestled in the Las Posas Estates on over 2 acres, this unique setting has been transformed into a 6-bedroom, 8-bathroom residential treatment center. The large open Kitchen with an extended island and Dining room are just steps from the Formal Living room, allowing for easy entertaining. Just down the hall are 6 beautiful ensuite bedrooms featuring elegant private bathrooms. Sliding door at the back of the house from sitting area allows access to the backyard pool. Furnished and completely remodeled with elegant yet comfortable details throughout. Manufactured wood flooring guides you from room to room with smooth ceilings, recessed lighting and more. Gather around the center island in the gourmet kitchen which features a Thermador 6 burner gas stove, custom backsplash and extended island. Formal living room includes a large fireplace and slider to front patio. Indoor laundry area has access to backyard. Long driveway leads you to a circular area with detached garage and ample parking. Relax in the backyard while enjoying the park like setting or cool off with a dip in the pool. With room to expand or possibly divide the property, this property is truly a unique find." "This Las Posas Estate home offers luxury and serene privacy! Sitting on a 1+ acre lot at the end of a cul-de-sac, with beautiful hillside views over an undeveloped valley, the home is an oasis. The fenced-in property includes well-maintained, mature landscaping and has access to the equestrian trail. The home is primarily single-level with upper-level master suite that includes his and her walk-in closets, fireplace and private outdoor veranda. The smart-home has been remodeled with wide-plank hand-scraped hardwood floors, LED recessed lighting, many new appliances including Viking gas range. Step outside to an enormous covered patio and terraced deck complete with sound system, spa and lighting. The home includes 5 garage stalls. Separate 1bd/1ba guest house boasts a living room, kitchenette and private deck. Property includes separate auxiliary structures including an art studio, library, outdoor bar, 1/2-bath, 2 storage sheds, 2 gazebos, fire pit and multiple patio areas." "Custom View Home Rarely on the Market!!! Move right into this Spanish style single story home nestled in the Las Posas Estates. Enjoy the quality accents/upgrades which include Saltillo tiles, unique wood beam ceilings, smooth textured walls, and upgraded moulding throughout. Modern touches include a remodeled chef's kitchen and remodeled bathrooms. This flowing floorplan features two large master bedrooms with modern upgraded bathrooms and spacious walk in closets. Enjoy panoramic views of the hills/valley from your family room, kitchen, and sitting room. Outdoor entertaining is a breeze with a low maintenance yard and numerous vantage points to take in your panoramic views. A four-car garage, interior courtyard, above ground jacuzzi, and room to build rounds out this unique home." "Welcome to Bella Vista- one of Camarillo's most prestigious gated communities! This custom built Mediterranean has a desirable cul de sac location with lush mature palm trees, succulent growth, and fruit trees. Walk in to the dramatic high vaulted entry, with grand oversized windows in the living room that look onto to the formal dining room. Large family room with stone fireplace that opens to outdoor patios. Kitchen looks out to backyard with granite countertops, garden windows, stainless steel appliances, and ample storage. Large downstairs bedroom can be used as office, or accommodations for those looking to avoid stairs. Massive multi purpose room upstairs- currently used for crafting, but could be a screening room, large kid's room, pool room- the opportunities are endless! Large Master suite with double-sink vanity, jacuzzi, balcony, and walk-in closets. Great for entertaining-floorplan features 3 different patio areas that allow for indoor/outdoor entertaining from high traffic areas. Private backyard with RV access, large shade trees, and rock formation. Convenient to 3 golf courses, shopping, & freeway access- offering the best of Camarillo's temperate climate with the sophistication and privacy of one of the area's most exclusive neighborhoods!" "Nestled in the desirable Las Posas Hills, on a private half-acre plus lot, lies 217 Alviso. This custom single story was designed and built for the builder himself and offers many special features. With over 4,000 square feet encompassing 3 bedrooms, 3.5 baths plus office, complete with lap pool, spa, and over-sized 3 car garage, this home offers a range of options for the empty-nester to multi-generational family living and everything in between. The pictures cannot do this property true justice. Voluminous ceilings and the attention to detail and quality make a home that truly must be seen to be appreciated. This home is an entertainer's dream. If a ONE-OF-A-KIND custom masterpiece is your desire, this is a must see!" "Welcome to The Summit! One of Camarillo's premier neighborhoods nestled between Spanish Hills & Las Posas Country Clubs. This gated, one story estate sits on an acre of lushly landscaped grounds, has an expansive cobblestone driveway and 8 car (!!) garage. The home flows beautifully, and has a bright/open recently remodeled kitchen. Details include custom walnut cabinetry, Wolf range, Bosch dishwasher, double oven, huge island w/ amazing quartz counters, & large pantry. The living room has a great fireplace, vaulted ceilings w/ wood beams, and looks out to the lovely yard with gorgeous city/mountain views. The master suite is large and private with its own fireplace, large outdoor hot tub with waterfall, gym w/ steam room, and large master bath with walk-in closet. All the rooms in this home are large and en-suite with private bathrooms. The bonus granny-flat/guest quarters has a separate entrance, & inc. living area, kitchenette, bedroom, walk-in closet and spacious bath with separate shower/spa-like tub. Perfect for extended family or long term visitors! Additional amenities include a beautiful koi pond, several fruit trees, two newer furnaces and A/C units, separate laundry room, central vac, large attic & more. Truly special home- THIS IS THE ONE!"